A Lot of students searching for TNFUSRC Forester and Forest Guard study materials pdf. We upload that materials both English and Tamil version in PDF format. 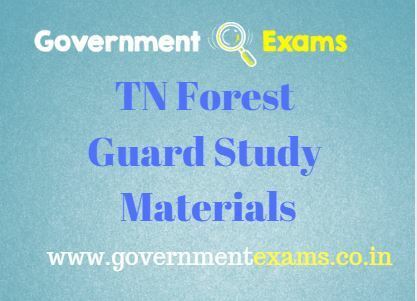 TNFUSRC Forester and Forest Guard exam consists of different subjects such as General Science, History, Geography, Polity, Economy and Aptitude. All that subject materials are given below in pdf format. We also upload sample question for TNFUSRC Forester and forest guard exam. The link given below is more important and kindly check that too. For Forest, guard General Science part consists of physics, chemistry, botany, and zoology. we upload all the subjects materials in PDF. New State formation after 1947 pdf – Download.